Xbox One today officially launched in India delighting thousands of local fans. The first console was delivered to its ecstatic owner in Mumbai. At the launch party at the Taj Mahal Palace Hotel in Mumbai, fan excitement reached a fever pitch. 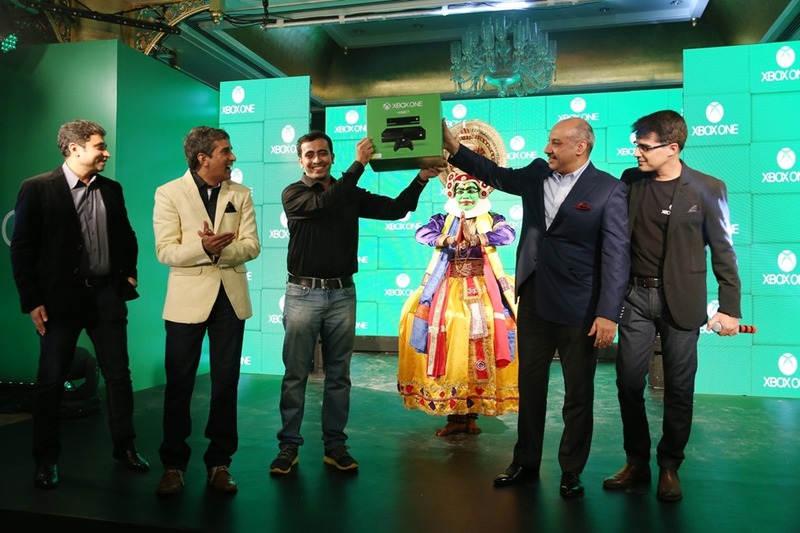 Amidst a glittering showcase of Xbox Games and Apps, a spectacular performance by dance troupe Prince, music by DJ Nucleya and a strong dose of humor provided by premiere comedy collective AIB, the Xbox One was unveiled for Indian audiences. Thanks to the power of the cloud in more than 300,000 servers, Xbox Live on Xbox One makes games better. The multiplayer experience has evolved to include features such as Smart Match, which finds the perfect match for you and is supported by a new community-powered reputation system. The Xbox One is an all-in-one gaming and entertainment system created for today and the next generation. With the best games, TV, movies and music all in one place, you don’t have to compromise. You can navigate and watch live TV from your cable, telco or satellite set-top box through your Xbox One. The Snap feature allows you to do two things at once – you can jump into a multiplayer battle while watching your favorite movie, hold group calls with friends on Skype while watching live TV and more. Xbox One’s innovative architecture means you no longer have to choose between your games and entertainment. Starting with “Xbox Record That,” you can also record, edit and share your favorite gaming moments like never before through Game DVR and Upload Studio. Xbox One is now available in India at www.amazon.in/xboxone. It is priced at INR 39,990 for the stand-alone unit while the Xbox One with Kinect is priced at INR 45,990.